Tuesday, 25 August 2015. Today KDE releases a feature release of the new version of Plasma 5. This release of Plasma brings many nice touches for our users such as much improved high DPI support, KRunner auto-completion and many new beautiful Breeze icons. It also lays the ground for the future with a tech preview of Wayland session available. We're shipping a few new components such as an Audio Volume Plasma Widget, monitor calibration tool and the User Manager tool comes out beta. Our new Audio Volume applet works directly with PulseAudio, the popular sound server for Linux, to give you full control over volume and output settings in a beautifully designed simple interface. Plasma 5.4 brings an entirely new fullscreen launcher Application Dashboard in kdeplasma-addons: Featuring all features of Application Menu it includes sophisticated scaling to screen size and full spatial keyboard navigation. The new launcher allows you to easily and quickly find applications, as well as recently used or favorited documents and contacts based on your previous activity. 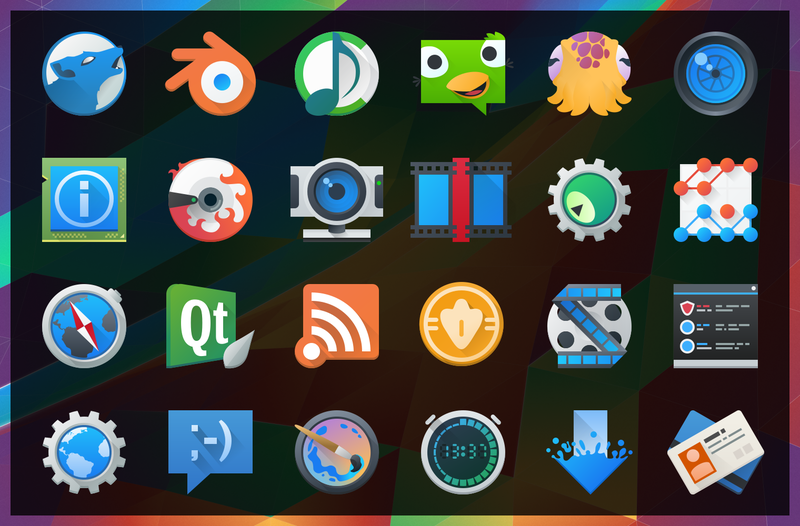 Plasma 5.4 brings over 1400 new icons covering not only all the KDE applications, but also providing Breeze themed artwork to apps such as Inkscape, Firefox and LibreOffice providing a more integrated, native feel. KRunner now remembers your previous searches and automatically completes from the history as you type. The Networks applet is now able to display network traffic graphs. It also supports two new VPN plugins for connecting over SSH or SSTP. With Plasma 5.4 the first technology preview of a Wayland session is released. On systems with free graphics drivers it is possible to run Plasma using KWin, Plasma's Wayland compositor and X11 window manager, through kernel mode settings. The currently supported feature set is driven by the needs for the Plasma Mobile project and more desktop oriented features are not yet fully implemented. The current state does not yet allow to use it as a replacement for Xorg based desktop, but allows to easily test it, contribute and watch tear free videos. Instructions on how to start Plasma on Wayland can be found in the KWin wiki pages. Wayland support will improve in future releases with the aim to get to a stable release soon. Provided the Purpose framework tech preview is available, the QuickShare Plasmoid can be used, making it easy to share files on many web services.